The annual South Australian festival, TARNANTHI, celebrates the depth and breadth of contemporary Aboriginal and Torres Strait Islander art nationwide. The 2017 festival (which closes 28 January 2018) presented works by 200 artists at the Art Gallery of South Australia, as well as another 26 exhibitions at venues across Adelaide. What if this photograph is by Albert Namatjira? What if this photograph is by Albert Namatjira? is a project by contemporary Western Arrernte artists working within the heritage of Albert Namatjira or ‘Hermannsburg school’ of watercolour painting. (1) This project engages a less well-known aspect of this heritage – photographs. 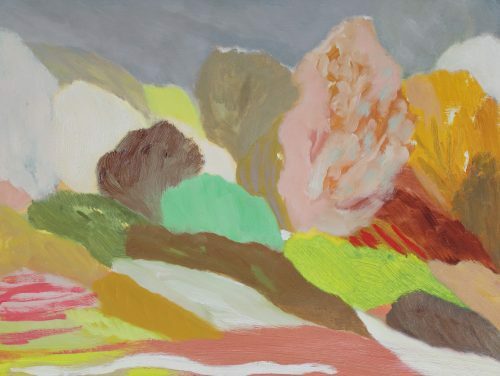 The artists have created a body of paintings in response to photographs from the South Australian Museum’s Battarbee Collection, which includes the rich photographic archive of the Victorian artist Rex Battarbee, generously bequeathed by his daughter Gayle Quarmby. These photographs were mostly taken in the mid to late 1930s in and around Ntaria/Hermannsburg, mostly through Tjoritja/the West MacDonnell Ranges. During their plein-air trips, Battarbee and Namatjira would photograph during the day and develop their material in dry river beds at night. And the day-night rhythm of the photography articulated into the rhythm of their exchanges: picture-making during daylight hours and talking around the campfire at night, extraordinary conversations, often centred around the meanings of that Country they were painting, recorded in the remarkable nightly journals of Battarbee. Are these photographs in the Battarbee Collection all by Battarbee, or (as is the nature of the camera, as something which is passed around, and photos themselves, which are shared) is it likely that some of Namatjira’s photographs are among them? 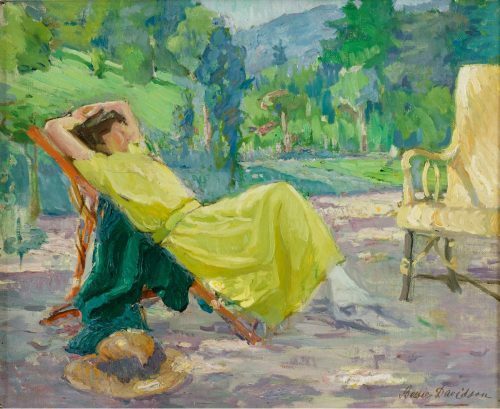 (4) Certainly, amongst the Collection, there are several photographs of Battarbee painting, which therefore cannot have been taken by Battarbee. How would we begin to tentatively locate photographs by Namatjira? And how can we begin to read this entire collection of photographs beyond a potentially facile game of speculative individual attribution? In Battarbee’s written journals – in the records of fireside talking, in Battarbee’s attempts at transliteration of Western Arrernte language, in his accounts of Western Arrernte Dreaming stories related to him by Namatjira – we can begin to glimpse the complexity of the interaction between these two artists. How could we begin this same task with the photographs? In other words, how can we come to understand these images, not through stabs at attributing individual photographic authorship, but rather as pictorial residues of the complicated interaction in thinking between these two artists? Rex Battarbee, photograph of Albert Namatjira and possibly Otto Pareroultja at Kwartatuma (Ormiston Gorge) 1939. Collection of Gayle Quarmby. In the paintings of senior artist Ivy Pareroultja, the snap of the camera’s shutter becomes a different duration. She bases her Heading towards Ormiston, 2017, on a photograph of Namatjira and her uncle Otto Pareroultja painting at Kwartatuma/Ormiston Gorge in 1939 (during the last painting trip where Battarbee and Namatjira used photography together, and the first trip in which Otto Pareroultja was included). But she radically shifts what the photograph gives her, and spatialises the landscape as the voyage to arrive there. The baroque rhythms of her forms evoke the extraordinary unfolding of forms, which shapes that mark the movement into the gorge. In his work, emerging artist Reinhold Inkamala adapts a photograph of two boys on a donkey. He splices this image with a remembered image of the Lutheran mission nestled into the valley of the Finke River, with Mount Hermannsburg looming behind. Donkeys were a common feature of mission life until the mid-1960s, when the European head stockman, Norman Eboff, shot them all, an event Ivy Pareroultja recalls as a kind of shared trauma. Reinhold Inkamala’s image implicates this moment in the community’s history but also inflects the donkey image with the suggestion of a biblical voyage, a reminder that the historical church that stands at the centre of the Lutheran mission is named for the Palestinian city of Bethlehem. Inkamala’s painting compositionally sets this classical Christian iconography of the donkey within the folds of Mount Hermannsburg, deeply connected to the Western Arrernte religious practices that preceded the arrival of Lutheranism (and the same valley that witnessed the ritual de-sacralisation of Manangananga, a cave secret- sacred for Western Arrernte people, on Pentecost Sunday, 9 June 1930, with a donkey cart bringing back the sacred tjurungas that had been removed from the cave). Reinhold Inkamala’s splicing of the photographic and a remembered landscape is a reminder of the important role of photographs as ‘memory’ for Aboriginal people in central Australia, the word ‘memory’ often used in the area to also mean ‘monument’. Inkamala’s painting also overtly points to an undercurrent in this project – that the relations between photography and painting are also the unstable relations between seeing and belief, where the putatively secular character of the photographic is always in relation to vast cosmologies and religious narratives, both Western Arrernte and Lutheran. For elder and senior artist Mervyn Rubuntja, the photographs of the Battarbee Collection yield vital environmental information, most notably the devastating effects of Buffel grass in central Australia. Rubuntja recalls the memories of his late father, Wenten Rubuntja, also an elder, political activist, stockman and artist, who as a young stockman (working at the same time as these photographs from the Battarbee Collection) witnessed Buffel grass seed spreading from hay imported into central Australia to sustain the cattle industry. In the years since, Buffel grass has cataclysmically infested the landscape, crowding out spinifex, and other native vegetation, including many sources of bush tucker. Rubuntja’s preoccupation with these photographs points to a recurrent feature of these historical images – what is significant in these photographs is very often something that we do not see. Ivy Pareroultja, Western Arrernte people, Northern Territory, born 1952, Ntaria (Hermannsburg), Northern Territory, Going towards Ormiston Gorge, 2017, Alice Springs, Northern Territory, watercolour on paper, 36.0 x 54.0cm. Courtesy the artist and Iltja Ntjarra Many Hands Art Centre. For each artist, the photograph is never just itself; it is profoundly encoded. Early in the life of What if this photograph is by Albert Namatjira? at a meeting of the participating artists, Rubuntja identified the project’s critical operation: what the artist ‘adds’, or how the artist works into the ‘gap’ between what we see in the photograph and the full reality it hints at, between what the image makes visible and what the image might mean or yield. The process of painting, prompted by the photographic image, animates stories, ways of thinking, articles of belief. It is a way to begin to decode the photograph, to implicate what lies beyond its immediate visibility. 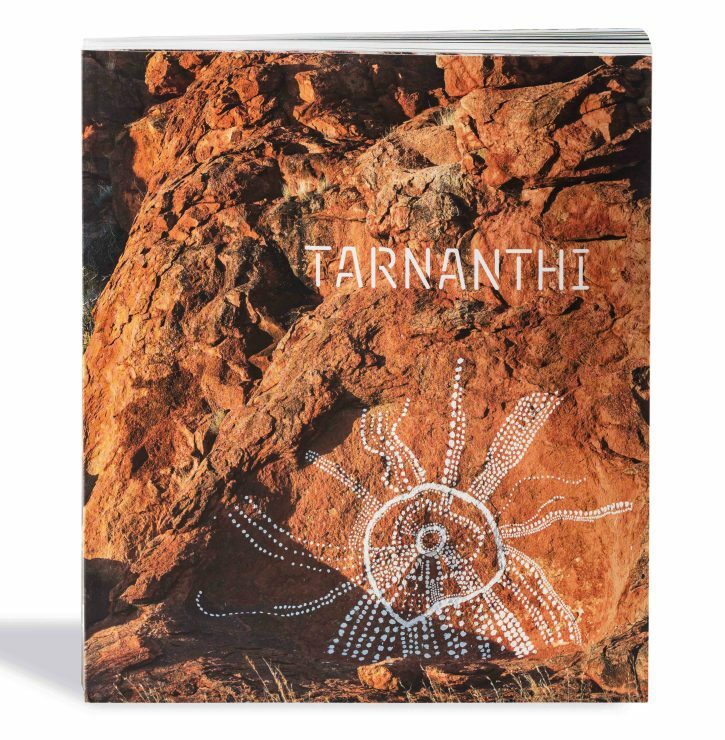 TARNANTHI is available from the Art Gallery of South Australia store and from bookstores with distribution by Thames and Hudson. What if this photograph is by Albert Namatjira? included works by: ltja Ntjarra/Many Hands Arts Centre Benita Clements, Tiara Doolan, Kathleen France, Noreen Hudson, Clara Inkamala, Dellina Inkamala, Kathy Inkamala, Reinhold Inkamala, Vanessa Inkamala, Ricky Connick Jakamara, Lenie Namatjira, Gloria Pannka, Hubert Pareroultja, Ivy Pareroultja, Mervyn Rubuntja, Betty Wheeler, and Marcus Wheeler. The orthography has been standarised for consistency in this essay. 1. What if this photograph is by Albert Namatjira? is a project by artists Iltja Ntjarra/Many Hands Art Centre in Alice Springs. 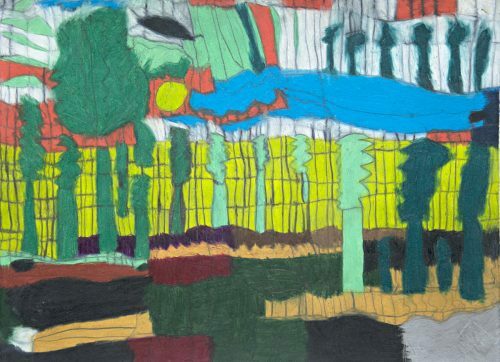 Participating artists include Benita Clements, Tiara Doolan, Kathleen France, Noreen Hudson, Reinhold Inkamala, Kathy Inkamala, Clara Inkamala, Vanessa Inkamala, Dellina Inkamala, Ricky Connick Jakamara, Lenie Namatjira, Hubert Pareroultja, Ivy Pareroultja, Gloria Pannka, Mervyn Rubuntja, Betty Wheeler, and Marcus Wheeler. I initiated and facilitated the project, having first encountered this photographic material in the early developmental stages of my own work around the relationship between Rex Battarbee and Albert Namatjira. The project is supported by the Art Gallery of South Australia, with Iltja Ntjarra/Many Hands Art Centre in Alice Springs, with generous engagement from its art coordinators Iris Bendor, Marisa Maher and Ellie Misios. The project draws upon photographs held in the Battarbee Collection at the South Australian Museum, and in the private collection of Gayle Quarmby. The project is a conceived over a three-year arc, to animate the relations between photography and painting in Hermannsburg school painting. In parallel to the painting process for this iteration of TARNANTHI (2017), a series of photography workshops at Iltja Ntjarra were led by Adelaide photographer Tony Kearney, the outcomes of which will feature in a future iteration of this project. 2. Battarbee taught Namatjira photography, and gifted a camera to him, which he left for Namatjira at Ntaria. 3. The importance of the camera’s viewfinder persists in the collective memory of older artists today: Namatjira would instruct budding young artists to look at the landscape through a tiny ‘pinhole’ within a clenched fist to establish a painting’s framing. 4. The answer to this question has recently been speculatively addressed by the art historian John Kean, through two pairs of images of Kwariitnama/Organ Pipes, a remarkable rock formation in the West MacDonnell Ranges. Two (very closely related) watercolours, painted by Battarbee and Namatjira perhaps fifteen metres apart, correspond quite exactly to two (very closely related) photographs of the same subject from the Battarbee Collection. One of the photographs that closely matches the Namatjira painting of Kwariitnama (Organ Pipes) and may therefore be the first photograph we could consider to have been taken by Albert Namatjira. Until now there is no extant photograph that has been attributed to Namatjira though it is likely that his photographs are among the many prints in the Battarbee Collection. 5. The artists range from senior artists, like Hubert Pareroultja (the son of Reuben Pareroultja, among the first artists to take up watercolour after Namatjira, during the early 1940s), to more emerging artists, like Vanessa Inkamala.